Antivirus software, or anti-virus software (abbreviated to AV software), also known as anti-malware, is a computer program used to prevent, detect, and remove malware.Antivirus software was originally developed to detect and remove computer viruses, hence the name. However, with the proliferation of other kinds of malware, antivirus software started to provide protection from other computer threats. In particular, modern antivirus software can protect from: malicious browser helper objects (BHOs), browser hijackers, ransomware, keyloggers, backdoors, rootkits, trojan horses, worms, malicious LSPs, dialers, fraudtools, adware and spyware. Some products also include protection from other computer threats, such as infected and malicious URLs, spam, scam and phishing attacks, online identity (privacy), online banking attacks, social engineering techniques, advanced persistent threat (APT) and botnet DDoS attacks. All computer systems include laptop, server and tablet can suffer from malware, ransomware, rootkit and viruses, including Ubuntu Linux and BSD. Thankfully, very few viruses exist for Linux, so users typically do not install antivirus software. It is still recommended that Linux users have antivirus software installed on Linux systems that are on a network or that have files being transferred to the device. Some users may argue that antivirus software uses up too much resources. Thankfully, low-footprint software exists for Linux. To better understand antivirus programs, it may be beneficial to understand malware itself. If you are running a SME business with a number of workstations, it might be a good idea to install an antivirus on the central computer that manages all the emails, data and traffic in your company. The best way to protect a system against viruses is to only download and install software from trusted sites and developers. With the discontinuation of AVG Antivirus for Linux and the lack of security suite from big players such as Symantec Norton or Intel McAfee, Linux are left with a few choices when it comes to OS security. Linux users are generally free from virus attack but bugs that enables a hacker to take over your linux system is out there, thus an antivirus with a good firewall is a must for your Ubuntu, Linux Mint & BSD System. 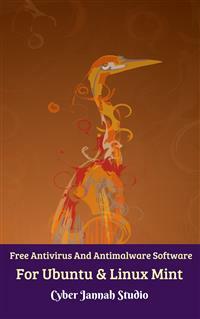 Antivirus software, or anti-virus software (abbreviated to AV software), also known as anti-malware, is a computer program used to prevent, detect, and remove malware.Antivirus software was originally developed to detect and remove computer viruses, hence the name. However, with the proliferation of other kinds of malware, antivirus software started to provide protection from other computer threats. In particular, modern antivirus software can protect from: malicious browser helper objects (BHOs), browser hijackers, ransomware, keyloggers, backdoors, rootkits, trojan horses, worms, malicious LSPs, dialers, fraudtools, adware and spyware. Some products also include protection from other computer threats, such as infected and malicious URLs, spam, scam and phishing attacks, online identity (privacy), online banking attacks, social engineering techniques, advanced persistent threat (APT) and botnet DDoS attacks. All computer systems include laptop, server and tablet can suffer from malware, ransomware, rootkit and viruses, including Ubuntu Linux and BSD. Thankfully, very few viruses exist for Linux, so users typically do not install antivirus software. It is still recommended that Linux users have antivirus software installed on Linux systems that are on a network or that have files being transferred to the device. Some users may argue that antivirus software uses up too much resources. Thankfully, low-footprint software exists for Linux. To better understand antivirus programs, it may be beneficial to understand malware itself.